The Archives and Collections are pleased to announce that our extensive collection of Fraser Taylor material is now live on our online catalogue! This can be found here under Archive Reference DC089. 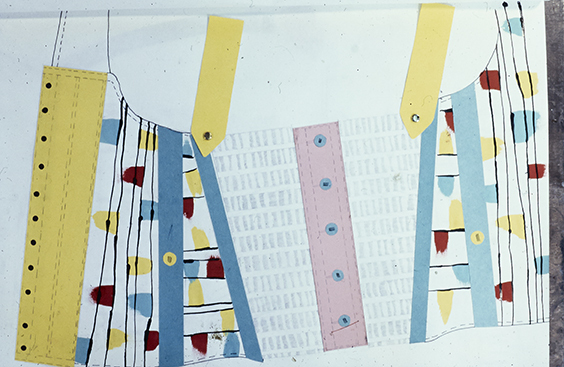 The material consists of Fraser’s personal papers and drawings from when he studied at GSA as well as textile samples, fabric lengths and garments. It also features work he produced as part of creative collective The Cloth. Click here for more images relating to this collection. In 2015, GSA Archives and Collections were lucky enough to win the Audrey Archive Award, a one-off special award from The Textile Society which we won jointly with Lancashire Archives for their John Horrocks collection. This grant of £1250 allowed us to digitise and catalogue our collection of Fraser Taylor material, donated to us just shortly before the Mackintosh fire in 2014. Having this collection digitised and catalogued has been a significant step in GSA Archive’s collections development and we are so pleased that this material is now publicly available. Fraser Taylor graduated from The Glasgow School of Art with a Bachelor of Art degree in printed textiles in 1981. 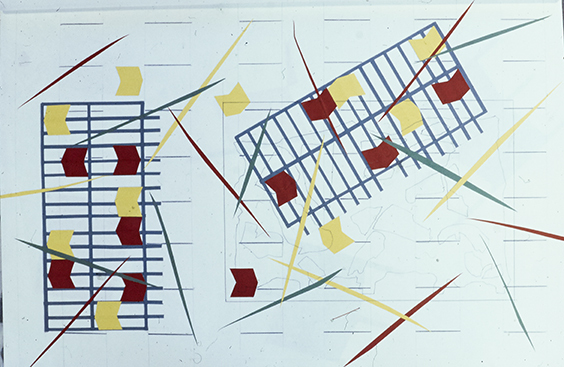 From the sketchbooks he produced as a GSA student, Taylor’s mixed media approach to working is evident, using a variety of materials to produce designs with a strong sense of contrast. He also took part in several of the School’s annual fashion shows with many extraordinary garments. 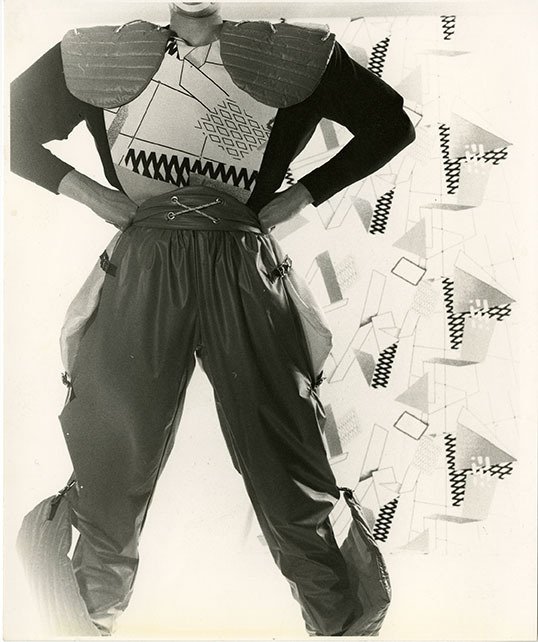 Image from one of Fraser Taylor’s collections. Part of a recent accession from John Skinner. Taylor’s approaches in his bachelors degree lead him to successfully secure a place on the Master of Fine Art course at the Royal College of Art (RCA) in London. 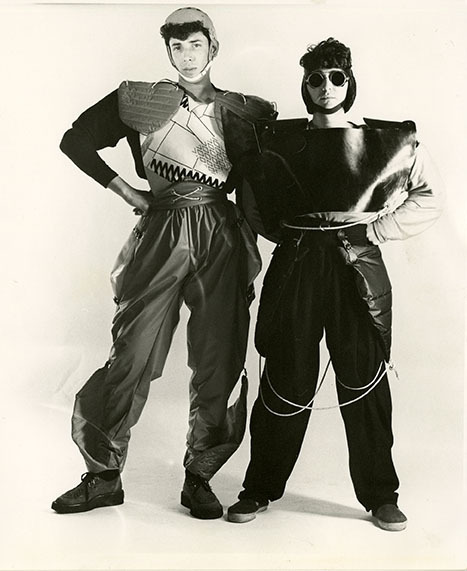 In 1983, he collaborated with fellow RCA students David Band, Brian Bolger and Helen Manning to form The Cloth, a highly successful design studio. With a penchant for bold use of colour and shape, The Cloth was established to encourage interdisciplinary creative practice and blur the boundaries between fine art and design projects. 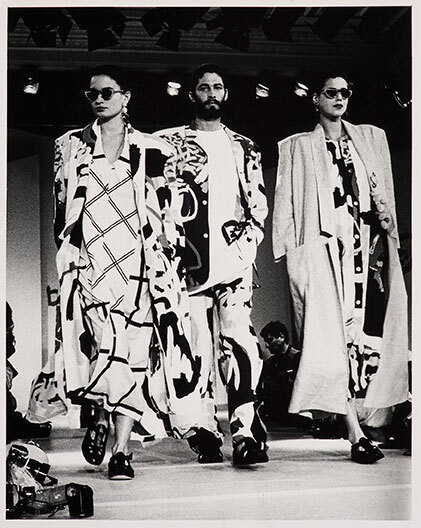 The company flourished between 1983 and 1988, producing textile collections manufactured all over the world for notable clients including Paul Smith, Calvin Klein and Yves Saint Laurent. In addition to this, they produced a ready to wear collection which was sold in high end department stores such as Liberty of London and Saks Fifth Avenue. 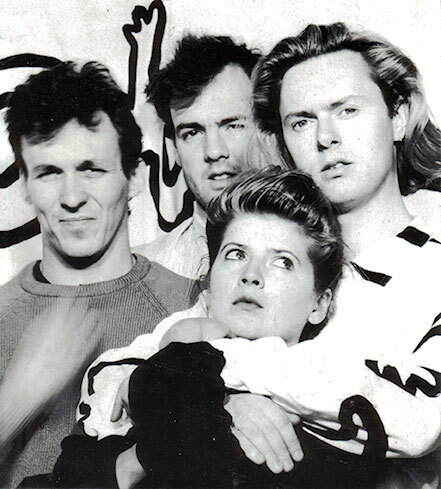 Furthermore, their graphic design work can be found on the album covers of popular 80’s bands including Aztec Camera, Spandau Ballet and The Bluebells. 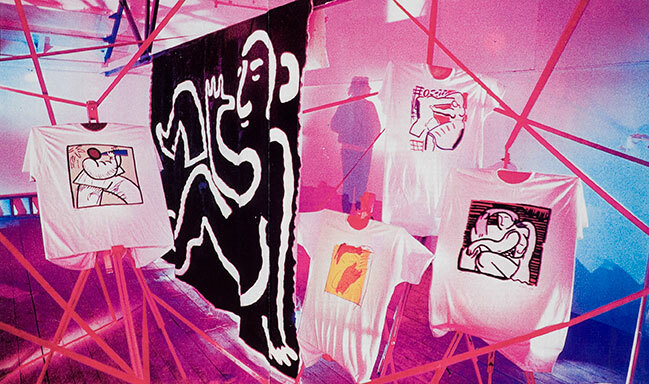 The 1970s and 1980s saw the establishment of The Third Eye Centre, Glasgow Print Studio and Glasgow Sculpture Studios. These venues had one thing in common; supporting the local artists of Glasgow and providing them with the facilities and opportunities to make and promote their work. 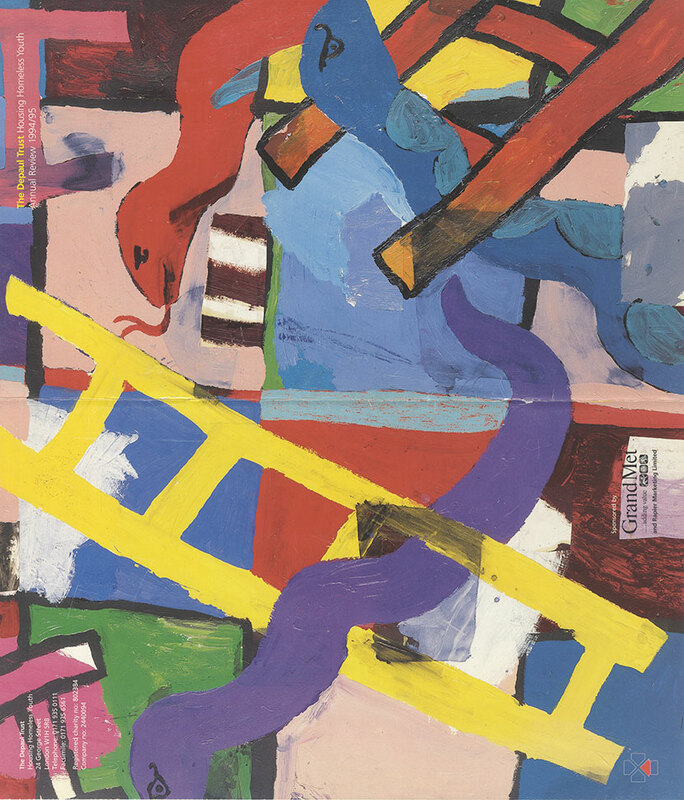 This created stronger communities of artists and encouraged them to produce work collectively. 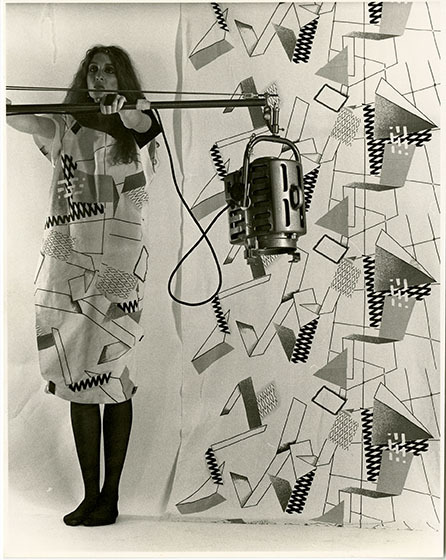 It could be said that Fraser Taylor and The Cloth’s practices were evidence of these new approaches that were developing in the art world at this time. Fraser Taylor with his exhibition “Bodies of Work” at House for an Art Lover in 2015. Image courtesy of House for an Art Lover. 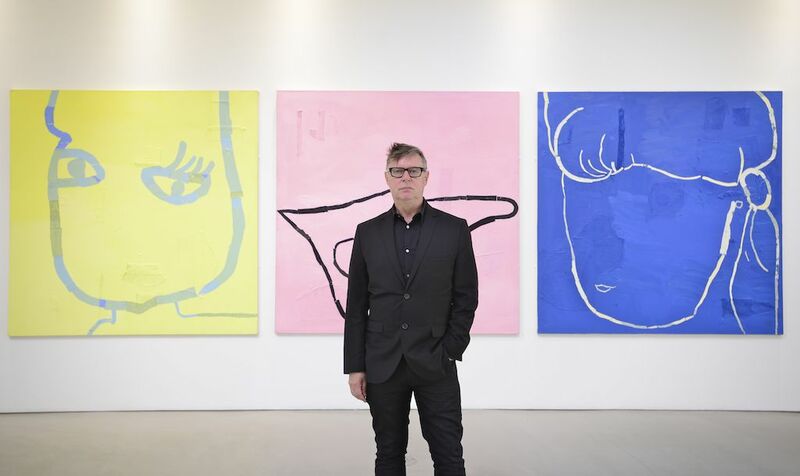 Since 1983, Fraser Taylor has continued to exhibit globally and will feature in a collaborative exhibition with Rose Wylie at House for an Art Lover in June 2017. He currently lives and works in Chicago.